On behalf of the United Republic of Tanzania, STANBIC Bank Tanzania closed a 600 million USD amortization private placement. In the first benchmark-sized private placement deal by a sub-Saharan country, the Tanzanian government was successful in raising the capital from the global capital markets and the funds wil be in the form of unlisted and unrated seven-year floatin rate that will see proceeds go toward construction development and infrastructure projects in Tanzania. The capital will fund Tanzania’s infrastructure development projects for the 2013 financial year acrooss various sectors of the economy including roads and railway equipment and energy. “We chose the private placement route as we felt it was the quickest option for the country, given that Tanzania is not yet rated and this also gave the country access to a wide international investor base similar to a Eurobond” he added. 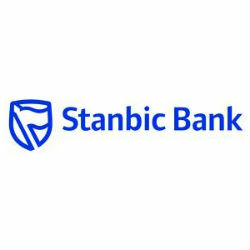 Managing Director of Stanbic Tanzania, Bashir Awale said “This deal represents a milestone in our ability to advise the government on how to access funding from the capital markets. It is also vital to note that these investments in key infrastructure projects, will, over the course of their economic lives, unlock benefits that will significantly enhance Tanzania’s GDP”. Stanbic Bank Tanzania is a subsidiary of the Standard Bank Group, Africa’s largest bank by assets. Stanbic Tanzania is a full service bank providing financial services through its Corporate and Investment Banking division as well as retail banking, finance, treasury, transactional business, investment, risk management and advisory services.